This is one of my favorite landmarks along U. S. Highway 17 and among the most-photographed locales on the coast highway. It was built in 1924 by Edgar Allen Poe McCarthy as a warehouse for his Tarboro Mercantile, located nearby. 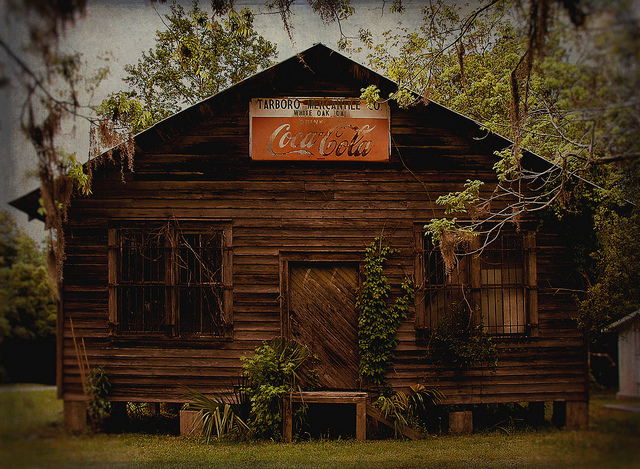 the woman who owned this old store died wed. at the age of 92 i think, it is a great old building, it would make a great restaurant, or bbq place, there is another old store on 252, if you turn beside this place it is in an “s” turn on the right hand side going to folkston. My mom worked at this store for six years and then owned it for a lil bit! As far as I know the owner is still alive and lives behind the store! This is my home town and my house is around the corner from it!! !